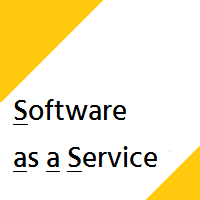 SaaS is any software application that you run that is not located on your premises. It is a full-blown application, not a component part of something else. It is not a way to build applications. It is not a plug-in to other applications. It is never something that sits on your machines. Instead of having the application running on servers and data storage in your data center, it is running in the vendor's data center. The way SaaS applications are licensed is different from on-premise applications. Instead of buying the license to use the application, and then paying for software maintenance to support it and keep it current, you rent the software over a period of time - usually monthly. Instead of buying and installing infrastructure and then paying ongoing operating and maintenance costs, the cloud vendor runs the application on their infrastructure. The cost of the SaaS application covers the costs of the software itself and the ongoing operations. Infrastructure costs need to pay to the Cloud Service Provider.